Notice the worn down stairs? It is simply amazing what time and persistance can do to even the hardest of things. 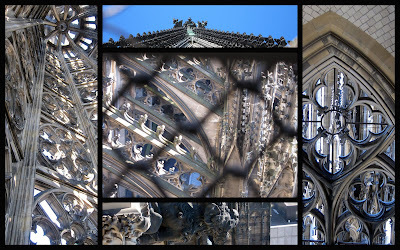 I was awed by the attention to detail that did not wane, even on the highest and hardest to reach spires. How were these Cathedrals built? I am truly perplexed. Even though the city of Cologne was pretty much levelled by the bombings in WWII, the Cathedral was minimally damaged. 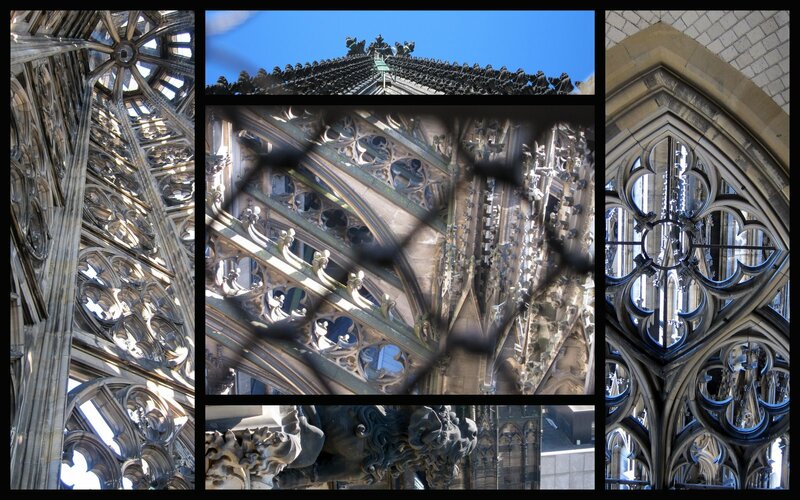 Those famous flying buttresses not only hold up an amazing amount of weight, they also give the structure flexibility. It was able to absorb the impact of the bombs without shattering. Ok, just one final photo of the Kolner Dom. Hey love the photos and posts! Keep them coming. :) So glad you two are having a great time. Gorgeous architecture. The detail is incredible. That's amazing about the bombing. Do you remember visiting that Spanish fort in St. Augustine that absorbed cannon balls?